A little while back, I checked out the then-latest set for the Ascension deck building game called “Gift of the Elements.” While I did nitpick a bit about there only being a few of the new Event and Transformed cards, the set itself was still pretty good overall. I recently got the opportunity to check out the newest expansion for Ascension, called Alliances, but this time, things are a bit different. Whereas Gift of the Elements was a complete stand-alone set, Alliances is only around 30 cards and requires a full version of the game, such as the core set or Gift of the Elements. It also requires more than two people, as it’s all about players teaming up to get access to the new cards. 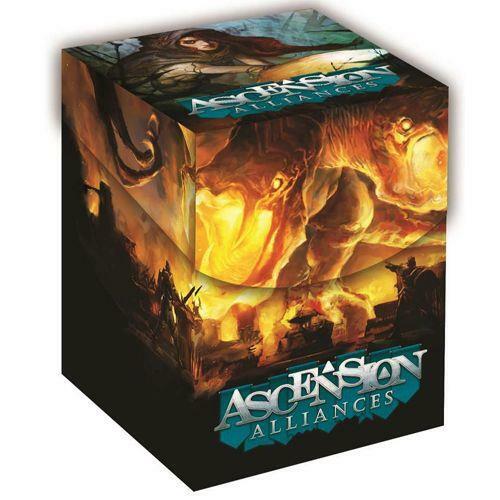 That being said, let’s take a look at Ascension: Alliances. If you’re not familiar with how Ascension works, I went into a bit more detail in my Gift of the Elements article, but essentially players will play cards from their hands to gain resources that’ll let them purchase cards to improve their decks and defeat monsters to gain honor. The goal is to have the most honor once the honor pool is depleted and everyone has taken the same number of turns. There’s a lot more to it but that’s the gist. Ascension can essentially be played with multiple people, though once you get past four you’ll have to start combining sets to make sure you have enough cards to work with. Realistically I wouldn’t go much past six or eight people, as then it would start to get out of control. Alliances, though, is all about forming an alliance with another player, so let’s see how all of this comes into play. Before starting you’ll pair up with another player and essentially play in teams of two. Both players will share their honor and final score, but you’ll still have your own deck, hand, Constructs, and resources. You’ll take your turn as a team though, so this can get a tad confusing at first. Let’s say it’s my team’s turn. My ally and I each play our cards however we wish in whatever order we wish between us. Some of the new cards benefit what our ally plays. Let’s say that my cards give me three runes and two power while his gives him five power. That does not mean that we have a combined three runes and seven power to use how we please; we keep our resources separate. However, we can then strategize how we handle what’s in the center row. For instance, I could purchase a small-cost card with my runes, and that might cause a powerful monster to come out of the deck that my opponent could then use how five power to take out. In terms of gameplay differences, that’s pretty much it, at least until we get to the new cards. The main addition in Alliances are banner cards. These are special cards which will still come up in the center row like every other card, but they work a lot differently. For starters they have two costs, one in each of the upper corners. 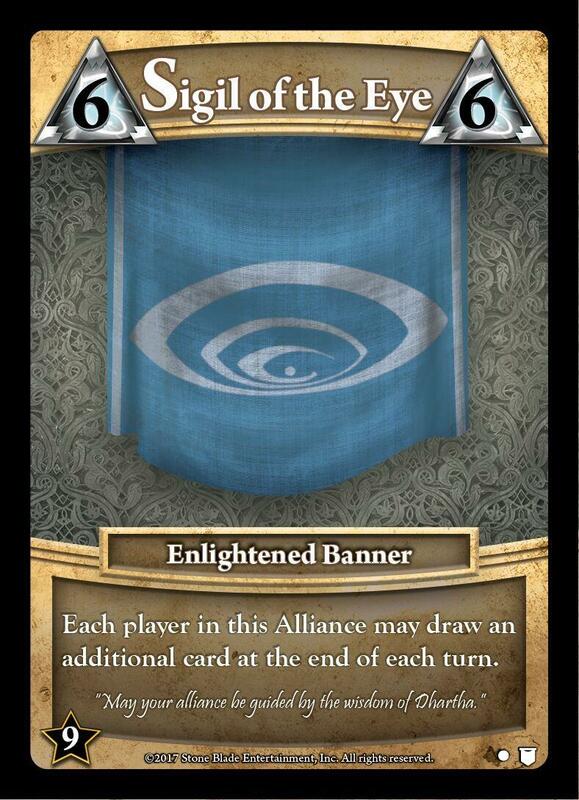 To acquire a banner, each person in an alliance must pay for one of the two costs on the same turn. In other words, one person must pay either the left or right cost while the other player pays the other cost. Once acquired, a banner will go immediately into play and its effect will be active. The effects are actually quite powerful, such as allowing each alliance member to spend power as though it were a rune, or allowing alliance members to banish a card in their deck when they have to shuffle it, helping them weed out the less effective cards and get to the more powerful ones quicker. Even though they stay in play, banners aren’t constructs and can’t be affected by anything that can affect constructs. While banners are the only new card type introduced in the expansion, there is a new ability: Ally Unite. The rest of the cards all deal with allies in some way, usually something like “your ally gains three runes” or something similar. However, when you play a hero with Ally Unite, you’ll gain the Ally Unite effect if your ally plays a hero that turn of the same faction, but not for each hero. For instance, let’s say I play Jubilant Druid, a Lifebound hero which says I gain three honor and also has an Ally Unite ability that says I gain an additional three honor. I get the initial three honor as I play Jubilant Druid. Then if my ally plays a Lifebound hero of his own during the current turn, I’ll gain another three honor. Keep in mind that honor is shared between allies. However, if after that he plays yet another Lifebound hero, the Ally Unite ability won’t go off again; it only triggers once per turn. Overall, I like this concept. While most games like this that I play are better suited in everyone-for-themselves situations, you can somehow find a way to do teams. 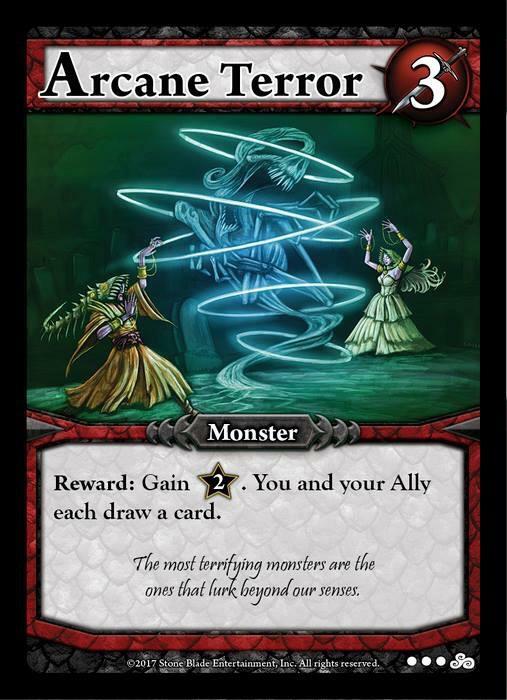 Ascension does have a team-based variant with a couple of minor changes, such as the aforementioned sharing of honor at the end of the game, as well as being able to spend an additional rune when acquiring a card to put it in your ally’s deck. 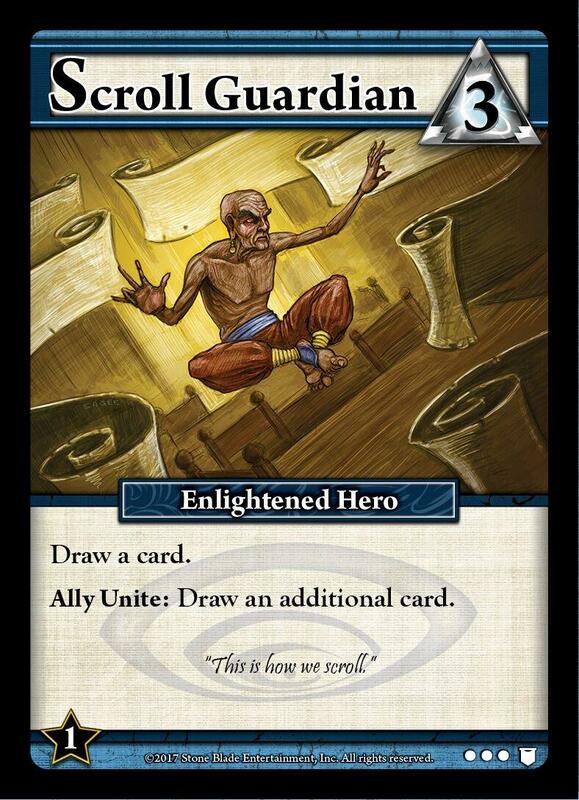 However, Alliances takes that variant and adds about 30 cards to improve upon it. The cards bring about quite a bit more strategy as the banners are typically pretty costly with each ally having to pay five or six of something, either power or runes, and early on it may be hard to generate enough resources to acquire something big, let alone both allies having enough at the same time. The fact there are around 30 cards to put in means that you have a good chance of the new cards coming up as opposed to the eight Transform cards in the 198-card set of Gift of the Elements. As of the time of this article, Ascension: Alliances is not yet available in the digital game yet. 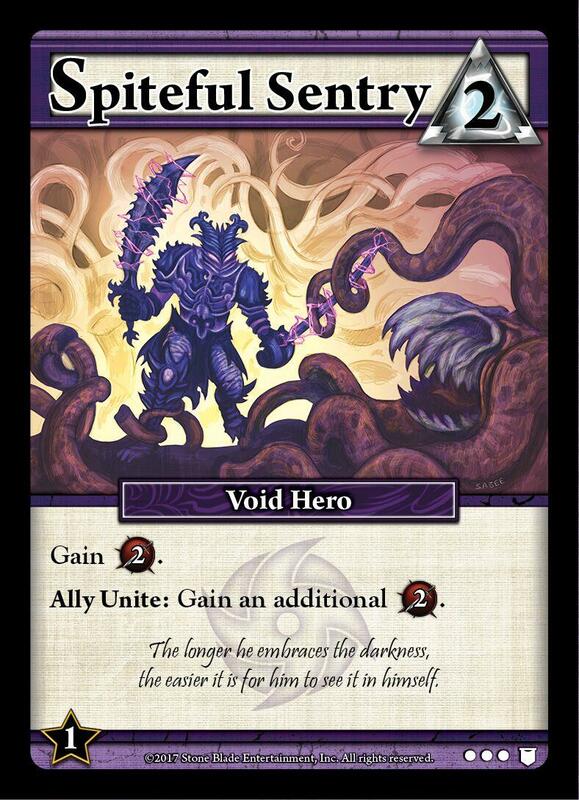 However, if you want to add some strategy to your team games, Ascension: Alliances is worth checking out.